Mega Sale! 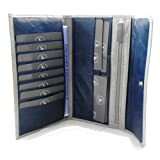 Up to 30% off on Checkbook Covers at Laurenee Lifestyle. 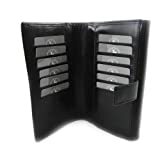 Top brands include Ted Lapidus, Les Tresors de Lily, Frandi, Kate Spade New York, Lauren by Ralph Lauren, Marc by Marc Jacobs, Gil Holsters, COWBOYSBELT, & Dooney & Bourke. Hurry! Limited time offers. Offers valid only while supplies last. 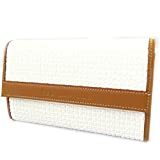 Wallet + checkbook holder zip "Ted Lapidus" white. 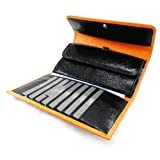 Wallet + checkbook holder leather "Frandi" orange black lacquer. 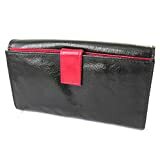 Wallet + checkbook holder leather 'Frandi' black red varnish. 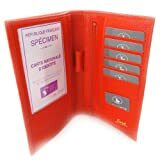 Leather checkbook holder "Frandi" orange grained. Wallet + checkbook holder leather 'Frandi' gray turquoise lacquer. 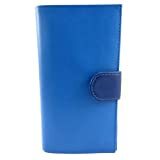 Wallet + checkbook holder leather 'Frandi' royal blue green york. 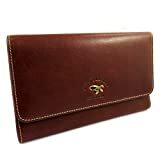 Wallet + checkbook holder leather "Frandi" brown - ecological york. 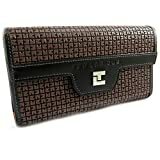 Wallet + checkbook holder leather 'Frandi' ecological york black. 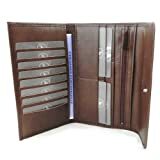 Wallet + checkbook holder leather 'Frandi' brown ecological york. 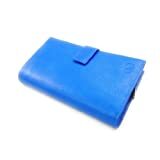 Leather checkbook holder 'Frandi' 2 blue tones. Wallet + checkbook holder 'Ted Lapidus' white. 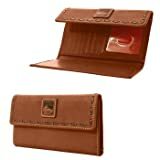 While a wallet + checkbook holder 'Ted Lapidus' orange brown. 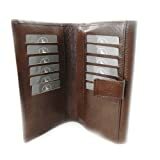 Leather wallet + checkbook holder 'Gil Holsters' brown.